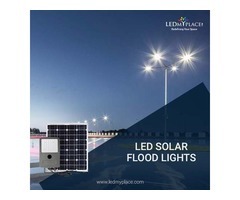 This LED Solar Floodlight kit has an 80W solar panel, a battery; a 30W LED solar flood lamp and a microwave controller or sensor as optional that provides more energy efficient lighting results. Comes with a lumen output of 3600 lumens and also the color temperature is 6000K, this solar LED flood light set can give more energy savings. 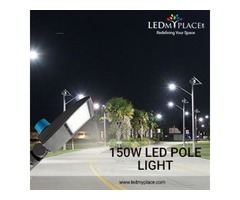 These lights are the most economical and productive way of lighting the surroundings with the help of solar energy, also this product comes with a wider beam angle of higher than 140 degrees. These lights are useful for more number of years and are more efficient lights than the traditional outdoor lights. These lights don’t contain mercury or lead inside them and hence there is no danger of polluting the environment as well. 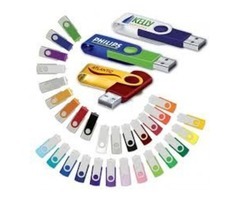 Despite having different components working together to give outstanding results, this kit is very light-weight and can easily be taken from one place to another. 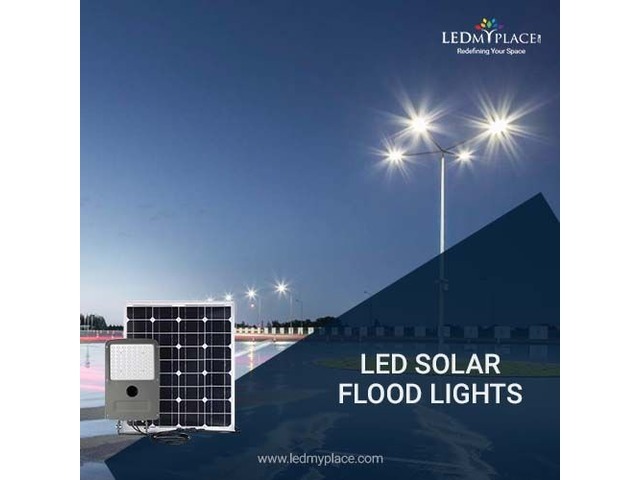 So utilize the Sun’ energy in the best possible way to illuminate the surrounding with the use of this LED solar flood light that can be very effective in reducing the electricity bills significantly.